Please scroll down the page to view all our events! 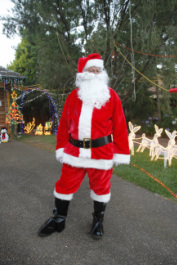 Santa will be visiting on selected dates to take Christmas Day requests. We encourage a generous donation to our display charities the Humpty Dumpty Foundation, Cure Brain Cancer Foundation and Red Nose. We would like to thank Chop Artisan Butchery for there sponsorship of the BBQ once again.